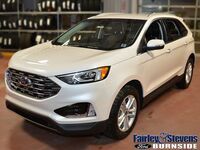 The Ford Edge is a vehicle that offers a ton of amazing utility and power, delivering a driving experience for you that can’t be beaten, no matter where your ride takes you! 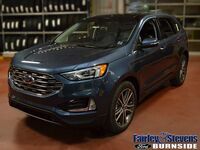 The new 2019 Ford Edge demonstrates this clearly, and is packed with amazing systems and features that make it one of the best SUVs around today! However, how does this great SUV compare to its previous year? The 2018 Ford Edge has a lot to offer and still is a great vehicle for any driver to enjoy. Is it worth the upgrade? These are the questions that we seek to answer today at Fairley & Stevens Ford, and we’ll do so by looking at the features and systems offered on each model! Look at the table below to see which one of these vehicles will give you the best deal! As you can see from the chart listed above, these two vehicles have a ton of features and systems in common, especially in terms of power. The 2018 Ford Edge is cheaper as well, being over $600 cheaper than the 2019 Ford Edge. 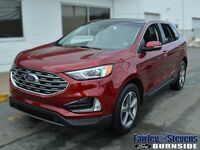 However, the 2019 Ford Edge certainly makes up for the small price difference, offering 20 more horsepower than the 2018 Ford Edge, as well as a massive increase in towing capacity! The 2019 Ford Edge offers up to 1,500 lbs more towing power than the 2018 Ford Edge, making it a far stronger vehicle! Additionally, the new 2019 Ford Edge has a better transmission than its predecessor, offering an 8-speed automatic transmission compared to the 6-speed automatic offered by the 2018 model. This transmission delivers better acceleration and power than the 6-speed transmission system! 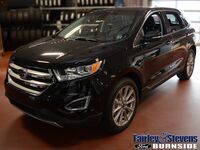 So, if you’re looking for a vehicle that offers a ton of amazing power and performance, even compared to its predecessor, look no further than the 2019 Ford Edge! The new Ford Edge is geared to please, able to tackle anything the road throws at it! Contact us at Fairley & Stevens Ford today to learn more!